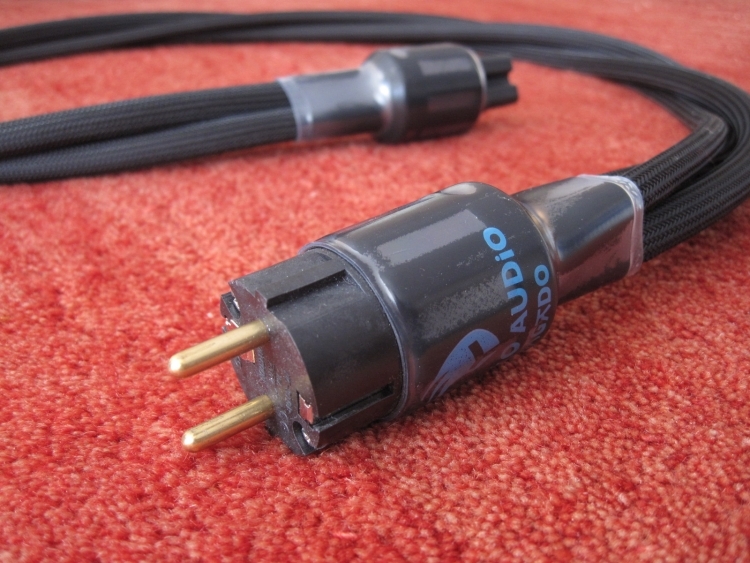 In these times of ever-cleaner sounding audio products I find it refreshing to encounter a product so rich and full sounding as this power cable from Dutch company Taiko Audio. I have often associated Dutch audio products with a sober sound, much like our saying “doe maar normaal, dan doe je al gek genoeg”, which translates to “normal is crazy enough”. Often enough this turned out to be so, but as with all preconceptions, this one also turns out not to be rooted in facts. After the EC Designs Mosaic DAC, the Taiko cables are the second Dutch product to truly surprise me with a different perspective from the one anticipated. Not much about the cable’s ingredients is revealed but it sure looks luxurious and is very nicely finished. 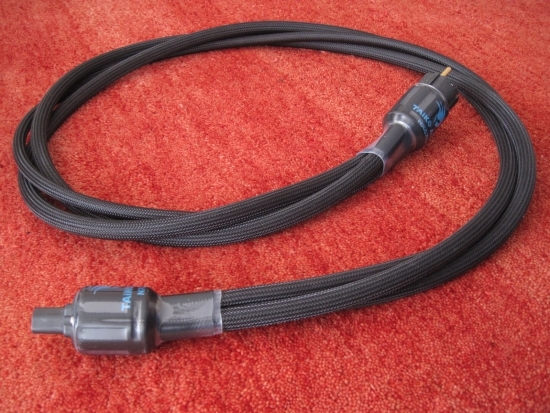 All I know is that Oyaide connectors are used (types unknown), that the copper used for the cable itself is of very high quality and that double cryogenic treatment was applied. I can however tell you that there is apparently a lot of copper in this cable because it is by far the heaviest power cable I have handled. Surprisingly, in spite of its weight, it is incredibly supple. One just has to make sure that the receiving audio component and its connector can carry the weight of the cable pulling at it! In practice, this turned out not to be a problem with any of my own components, but one component which will definitely tilt backwards is the Ayre QB-9 DAC. Ironically, the Nagado turns out to be the perfect cable for it. More about this further below. Above: 2 wires have the same diameter and the remaining one is smaller in diameter. Presumably this is the earth conductor. 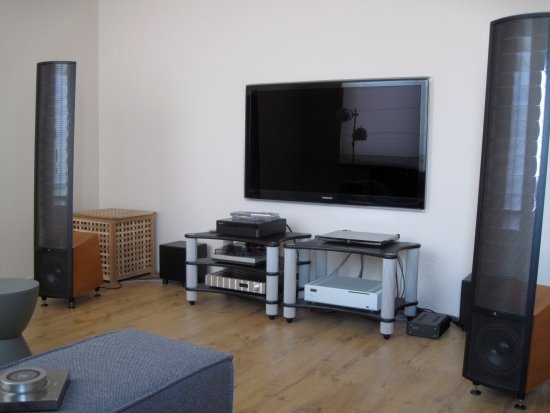 First listening was done in my secondary setup, which quite simply exists of an AudioAanZee Reference Flow Music Server, a Devialet 120 amplifier and Martin Logan Ethos speakers. Substituting the Belden powercord on a Devialet 120 amplifier for the Taiko, the raise in quality on all levels is evident. 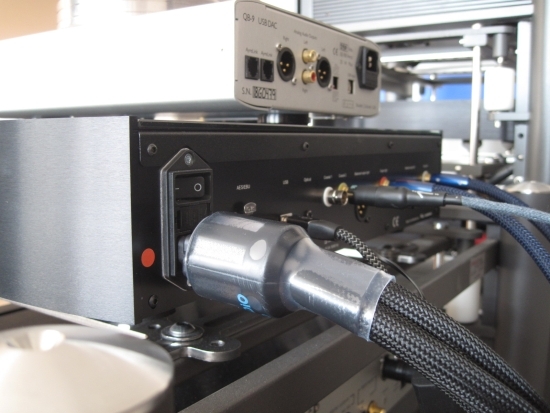 The highly affordable Belden cables can be a little gray tonally and a little rough around the edges, and as such I have stopped using them on sources long ago. 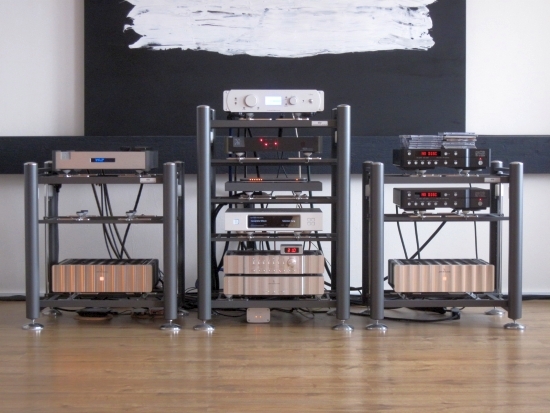 On amplifiers however, especially power amps, Beldens still work well in my experience. The leap in quality here however really is devastating. The Devialet of course is an intergrated amp, and a special kind for that matter (hybrid class D/class A) and it also incorporates a DAC. Firstly, bass with the Taiko is much more solid. It goes deeper and is fuller, but without losing any articulation. Then, midrange is much more lush, almost creamy, but again, without losing any detail. In fact, resolution in the midrange is enhanced. It’s like going from an artificially sharpened picture to a true hi res picture: sharp without being sharp around the edges. Finally, treble is much more fluid, more refined and airier. Any rough edges that were there with the Belden, are 100% gone with the Taiko Audio Nagado. But that’s not all. Soundstage is also wider and more enveloping, and the whole presentation is more luxurious and emotionally much more involving. With the Taiko, the Devialet paints in more deeply saturated colours and lets the music flow more freely. Compared to the quick and bouncy Belden, there is however a slight reduction in perceived speed, making the music more relaxed, but arguably less foot-tapping. It’s not that the Nagado is slow or rounded: this is not the case, but perhaps it might seem this way because the cable’s presentation is so majestic and authoritative. The Nagado’s presentation is highly differentiated and dynamic, but not shouty. The music never feels rushed, and the Nagado is unphased by complex arrangements, and always keeps the overview. My long time default cable for source components, Harmonic Technology Pro ACII, is closer in basic character to the Nagado’s sound than the Belden but between these two there are also very obvious differences. 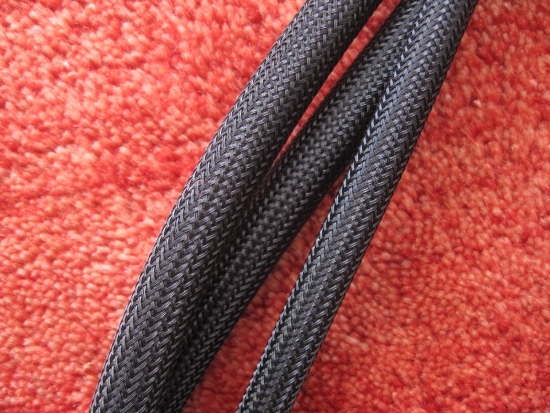 Even if the Pro ACII is a smooth sounding cable compared to many others, it is when comparing to the Nagado that it is revealed as being slightly grainy and less fluid, indicating that its low level resolution cannot match the Nagado’s. And even if its bass was always considered to be nicely full and weighty, the Pro ACII can’t match the Nagado’s firm foundation. Most surprising for me is the finding that the Nagado has much more natural timbre, being acoustically more convincing. Even with its recently renewed transport, the 390S is a relaxed sounding CD player, and the combination with the Nagado under equal circumstances further enhances this effect, and the result is a sound that is superior in every way, except for the bouncyness of the beat. It should be noted that my setup is itself quite relaxed and a little over-sensitive to this quality. Being a tweaker in heart and soul, I have three power extension blocks behind the audio setup wired with different cables. My default block for digital sources is wired with (smooth sounding) Lapp cable. Sure enough, plugging the Nagado in the block wired with solid core installation cable pulled the sound back into balance, adding a nice bounce to the sound while retaining all the Nagado’s inherent seductive qualities. The Ayre has been pulled in for comparison once again, its neutral and unforced delivery perfect for shining alternative light on comparative matters on more than a few occasions. 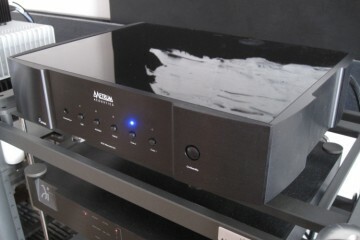 I don’t own this DAC but thankfully my friend Niels is always willing to loan it to me. In preparation for the connection of the Nagado, an Artesania damper was put on top of the Ayre to function as a weight to keep the lightweight unit in its place. The nice thing about the QB-9 is that it always gives a positive impression right from the moment that it is switched on. Unvariably it sounds neutral, natural and nicely open from the first notes. However, as also always happens no matter which power cable is used, after a few tracks one starts to notice that it could sound fuller and richer, and that its bass could do with some more heft. A Furutech Alpha 3 makes the most of the Ayre’s dynamics, but makes it sound a little too cold, while a Harmonic Technology Pro ACII helps add tonal richness but takes away some expression and doesn’t do favors for its timbre. This is where the Nagado comes in perfectly, neatly aiding the QB-9 in its lesser areas, while retaining all its positive aspects. Bass is now fuller and much more authoritative, midrange positively seductive and treble velvety-rich and fluid. Without exaggeration one can state that the Ayre has been raised two classes simply by using it with the Nagado powercable. The Pavane was over for review and so could conveniently be used in closing of the Nagado listening sessions. Here the Nagado performs highly similarly as with the Ayre: aiding in the areas that can use enhancing while taking away nothing, lifting the Pavane a class in the process. This solidifies the “horses for courses” truth, or in other words to repeat my mantra: in all matters audio it is all about the combination that is made. By now it should be evident that I find the Nagado to be a remarkable cable. However its quality comes at a price. 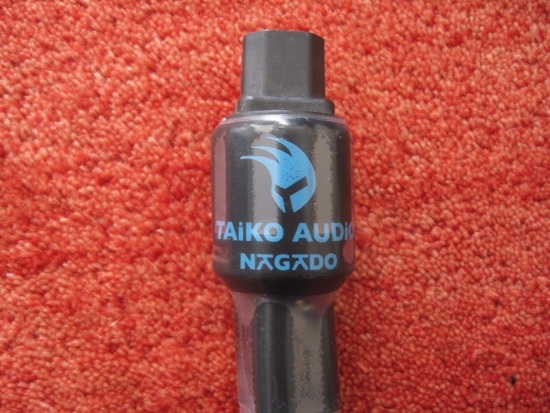 Luckily Taiko also have the Okedo cable in their palette, which uses less copper and costs considerably less. Overall, the Okedo is similar to the Nagado in character: same treble refinement and air and same rich overall character, but there are a few areas in which it portrays the music differently from the Nagado. For starters the Okedo sounds less voluptuous and full bodied in the bass, but compared to many other cables, it is still a very rich sounding cable. Like the Nagado, the Okedo never sounds stressed and always fluid and luxurious. Then there is the midrange, which still sounds rich, but is less prominent than with the Nagado, as if it is portrayed with the same sound characteristics, but with the output in this frequency section slightly reduced. In my setup this makes for a less “live” or “lifelike” sound, but this is something that may also be of benefit in systems that need some extra “warming up”. Finally, and in part due to the less outgoing midrange, the Nagado’s timbre sounds more natural to me than the Okedo’s. Don’t let this be a discouragement though because on balance, and given its more than realistic pricing, the Okedo really delivers a sound that is not easy to find elsewhere unless paying considerably more. The Nagado’s qualities are obvious from the start and the cable stands out even without any comparisons. For me it is clear that the Nagado is a cable that belongs in the reference class, technically and emotionally superior to all cables I have heard in its price category. 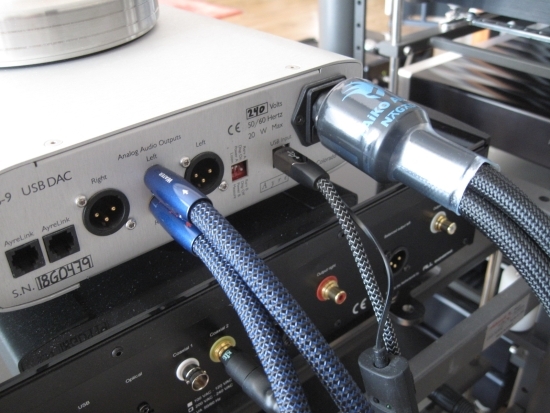 There are only two cables that I recall to offer a similar combination of qualities, one being the more expensive Less Loss DFPC Signature and the other being the considerably more expensive Mamba Audio Powerblast. One should take this into account when judging the Nagado’s merits, and the inescapable conclusion is that Taiko offers outstanding value for money with the Nagado powercable. Thank you for your extensive reviews. They’re really helpful and interesting. 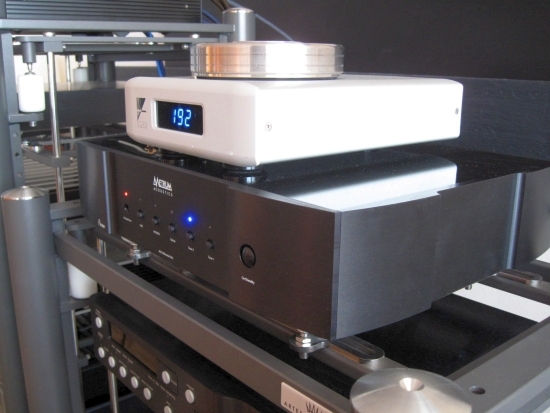 I’m looking for a suitable power cord for my Meitner MA-1 DAC (fed by Aurender X100L) and my Jeff Rowland Continuum S2 (connected to Audio Physic new Avanti speakers). I find that my system is lacking a bit in body which makes some music lean and the treble a bit too prominent. I was thinking of the AQ Castle Rock as speaker cables but as for power cords for the DAC and AMP, I don’t know. At the moment I’m using Ölflex FD891CY with Wattgate 320i IEC Cryo – Bals Schuko power cords for all my equipment. If you want more body while retaining the Lapp sound, why not try a Lapp with thicker conductors such as the 5G2,5 110CY or 7G1,5 191CY? If you want to enhance timbre, detailing and overall refinement while providing a fuller bass and instilling a seductively smooth feel and have a little more to spend, try the latest Furutech FP-TCS31 power cable. Alternatively you could swap the Wattgate and Bals for FI-28/FI-38 connectors which will also already bring the sound quite a bit more in your desired direction. If you want all the above and more, then obviously the Taiko is the cable of choice. Thank you for your reply. Is the Taiko possible for both the DAC and AMP? You’re welcome. The Taiko does indeed work just as wel with both amps and sources, but I would start with one cable and just try it on either component to find the best match. The Rowland will definitely respond to the smoother cable but I suspect that the Meitner will work best with it. Try one cable first to see if you like the direction that the sound takes, and you might find that you won’t even need to change the second cable. Thank you for the recommendation. I’ve bought the Taiko power cord and I’ve tried it on the Meitner today and so far it’s a big improvement, just as you described it. Which power cord would you use for the Aurender X100L and the Rowland to give it that similar touch without overdoing it, or at least to improve on my Lapp 891CY cables? Great to hear to you are getting good results with the Taiko Nagado. If money is no object then I would use the same cable on the Aurender. If you want to save some money then the next best thing for the Aurender in the same direction would be the more affordable Taiko Okedo which has the same overall sense of luxuriousness minus some of its bigger brother’s boldness and power. On the Aurender it might work just as well, I haven’t tried this myself. I use a Harmonic Tech pro ACII (not +) on my Aurender and it nicely and subtly offsets the latter’s inherent cleanness. Nagado is a big step up from the Pro ACII, but Okedo also imrpoves on it in terms of luxuriousness and liquididy. For the Rowland I would choose a more “neutral” but still musical and lyrical cable to offset the luxuriousness of the other two cables, best choice being a Cardas Clear Beyond. This one works really well with JRDG. Thank you for your advice. Would the Cardas Clear work as well with JRDG, as it’s a bit less expensive? I think for the Aurender the Okedo might be a good idea, as I don’t think I need the same boldness and power on that as the Nagado, it might become too much. The only annoying thing about the Nagado is that it hangs out of the DAC connector a bit as it’s so heavy (it doesn’t slip out though). I put a little wooden block under the plug to hold it in place. How does the Furutech FP-TCS31 compare to the Okedo and Harmonic Tech pro ACII? Many thanks for your valuable feedback. I have not heard the normal Clear powercable. It might sound a little thinner but may still work well. Indeed the Nagado is quite heavy and pulling on the component that it’s connected to. Although IEC connectors tend to be very sturdy, relieving the tension somewhat is a good idea. The Furutech FP-TCS31 is simply better than the HT on all accounts, but I have not compared it with the Okedo. From memory they’re both lush sounding and relaxed. I’ve tested the Nagado a bit further in my system. The least good match was with the JRD amp (lost a bit of it’s foot-tapping rhythm). The best match is with the Meitner. With the Aurender X100L the difference was also very noticeable, but my system was still a bit lean sounding with a bit of digital glare. Question is, would another Nagado be OK on the Aurender, or would the Okedo, which the shop says is a bit warmer and fuller, or another power cord, be better? I know it’s hypothetical but you’ve tested so many power cords … Thanks. In response to your Aurender question: I’d say if the Nagado worked well, it may be the best cable for the Aurender, even if it could be considered overkill. Okedo is indeed less warm and full, but very fluid and relaxed nevertheless. There are only two other cables I heard that I would rate similarly for these qualities, but I would not know if they match better, worse or equally well: Mamba Audio and LessLoss. Then again, cables can only go so far and you might want to look elsewhere in the setup for curing that last bit of leanness. 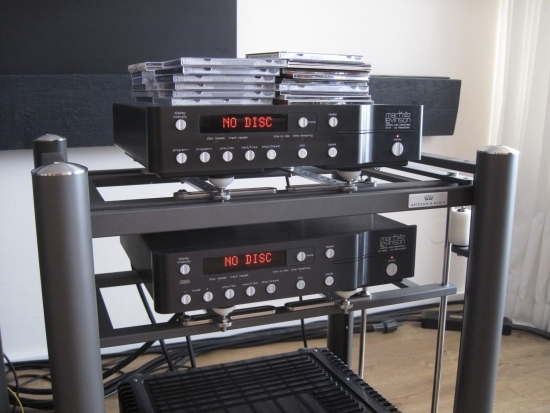 Thank you for your suggestion of the Cardas Clear Beyond PC for the JRD amp. How does it compare to the Fusion Audio Enchanter PC as they are similar in price (yes, I read your review)? Enchanter is less voluptuous, more agile and analytical, Clear is fuller sounding and more grounded. Both are open, airy and refined. Thanks for that, Cardas Clear Beyond it is. And what about the PC for the Aurender. I put the Nagado on the Aurender and all the rest my Lapp PCs and I found the system a bit bright and lean, what other PC could work, Okedo or any other, or would 2 Nagados work better? The shop says the Okedo is fuller and warmer than Nagado, did you experience that as well?